Swansboro Property Management, Swansboro Property Managers, Swansboro, NC Property Management Companies. At Advantage Gold Realty, we understand that choosing a company to represent your real estate management ventures is a monumental decision that includes not only how well the business protects your investment, portfolio or association, but the type of relationships you have with the individuals caring for your specific needs. We know that you expect not only expertise in the real estate management industry, but also the highest quality customer service provided by an experienced, caring team that knows Swansboro and its surrounding areas better than anyone in the business. Advantage Gold Realty is that Company. In fact, our innovative business model, combined with our friendly, knowledgeable staff, allows Advantage Gold Realty to meet ALL your real estate management needs. 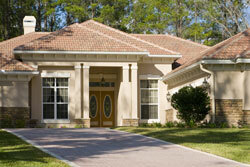 Advantage Gold Realty is Swansboro’s Premiere Real Estate Management Company. Our company provides you with the highest quality management service at an affordable rate. As a testament to our quality service, we continue to grow every year through referrals from our satisfied clients and customers. At Advantage Gold Realty our goal is to provide the information you need when you need it to make informed real estate investing decisions. Our comprehensive property management services means we handle the day to day tasks of managing the property so that you don’t have to. Because we treat each of our client’s properties as if they were our own, every detail is accounted for. or commercial ventures in Camp Lejeune, Swansboro, Richlands, Sneads Ferry, or Topsail area, you can count on us to save you time, money, and any worry associated with your valuable investment. There are many reasons for our success in the Swansboro, NC area, but the most important one is our TEAM! Years of experience, continuous training, and dedication to customer service guarantee reliable, affordable Residential and Rental Property Management Services for Swansboro, NC and beyond. Our Property Management Company is committed to helping you realize your investment goals, enhance your rental value and the future market value of your property, develop productive relationships with you and your tenants, and give prompt, courteous attention to everyone’s needs. Our commitment to excellence provides the best Rental and Residential Property Management to our customers and clients in a professional, courteous manner. Call 910.353.2001or click here to contact us via email to learn more about what the Property Management Company can do for you. Swansboro started as a settlement around the plantation of Theophilus Weeks. In 1783, Swansboro was incorporated as a town, taking its name from Samuel Swann, a Speaker in the North Carolina House of Commons and a resident of Onslow County. In 1818, Otway Burns built the Prometheus, the first river steamboat constructed in North Carolina. The town, originally spelled Swannsborough, is sometimes called "The Friendly City by the Sea". M.N. Lisk, a popular Swansboro mayor, initiated the annual Mullet Festival, one of the first coastal seafood festivals in North Carolina. The town is featured as the setting of Nicholas Sparks' novel The Guardian.